Amy Rohu discusses the new RTE news anchors following recent controversy. 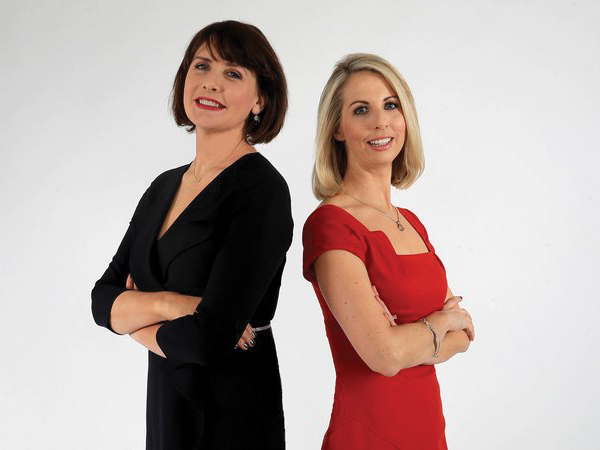 As of January 2018, all of the main news anchors in RTÉ will be women. This is a victory for women everywhere but particularly here in Ireland. Sexism and harassment against women have been hot topics in the media, especially in recent weeks. When the news broke about Harvey Weinstein, the American film producer who has been abusing women for decades, Hollywood seemed to take on a new lease of life. Women everywhere have since come forward and are continuing to name and shame men who have abused their position of power. Men who also are victims of abuse are coming forward too, but what does this have to do with Caitriona Perry and Keelin Shanley taking over the Six One news? It is a great example of the shift that is occurring in the media and how women are saying they’ve had enough. It was also recently announced that women in Saudi Arabia will be allowed to drive from next year, another landmark moment in women’s rights. Women shouldn’t have to beg for jobs because ‘women can do it too’, they should just be given it on merit, not because they are a woman. Nobody likes the idea of gender quotas for the sake of it or having a gender balance on a panel of people because women just have to be there. Caitriona and Keelin are two great examples of hard-working people who deserve to be where they are and RTÉ should be praised for recognising that. There was a lot of controversy over the summer when a huge gender pay gap was revealed in RTE, the figures released showed that Bryan Dobson was earning up to €80,000 more than his co-anchor on the Six One news Sharon Ní Bheoláin. A lot of eyebrows were raised as the two anchors have identical jobs, so why was Dobson receiving significantly more? The same story also brought to light the highest paid presenters on RTÉ and the top 10 had considerably fewer women. Fast forward a few months and it’s announced that he’s taking a different job on radio and Sharon is being moved to the Nine O’clock News and we’re introduced to our brand new news anchors. This news in itself is huge, most of us have grown up with Bryan and Sharon presenting the news every night. This shift in RTÉ is monumental. It seems that RTÉ is trying to sweep any controversy under the rug and show that they aren’t a sexist organisation, at least they don’t want to be anyway. The two new faces of the Six One are a welcome change, they seem to be confident and excited for the job and will hopefully breathe fresh air into the newsroom. Plus, Caitriona got her journalism degree here in DCU, which just goes to show what’s possible for us in the future too.